Only a fool would face off against the absolute power of Trunks, and someone is doing just that! 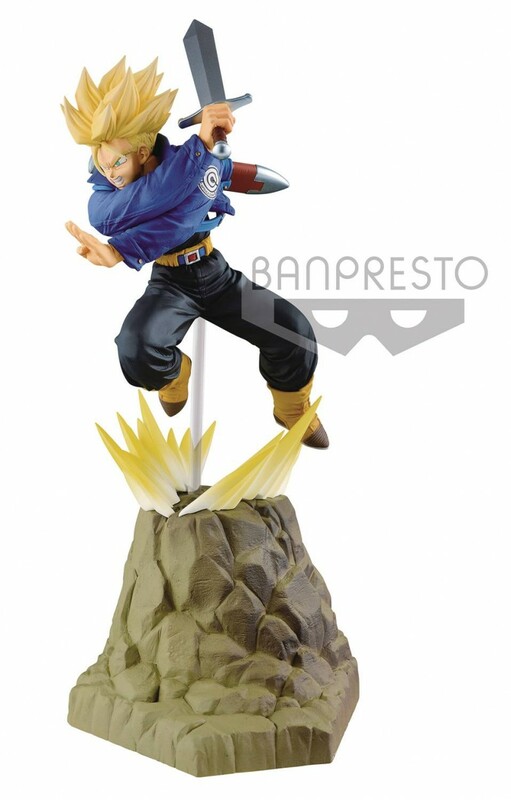 With sword in hand, though, Trunks is ready for a fight with this Absolute Perfect Figure release from Banpresto inspired by Dragon Ball Z. The figure itself is 5 7/8” while the included pedestal is 3 1/2”, and together they create an epic scene that brings the excitement of Dragon Ball to life in a display-worthy package.